Cooking a delicious meal require a lot of chopping, slicing, mixing or whisking. Don’t let this become a nuisance in your life and buy food processor online. 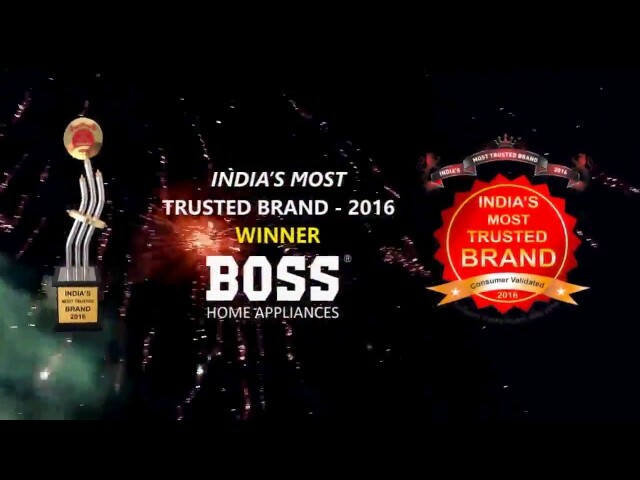 Boss is a company making kitchen appliances for years designed as per Indian women requirements. So, no more crying while chopping the onion or getting pain in your arm for whisking egg as all this is done by our specially designed food processor. Our company’s food process comes with different attachments that designed for cutting, chopping, mixing and whisking. Now you can slice loads of vegetables, make the sauce, or create perfect cake batter in a matter of minutes. Boss also ensure that the kitchen appliances made by using the high-quality material so they last long in your kitchen. How to Buy Food Processor Online? There are many food processor manufacturers in the market but how to purchase a food processor that ticks on your requirement list. The first thing you need to note is the motor power the food process has. If you have an extensive use, then pick 600 watts’ food process which can do all the work efficiently. Second, comes the number of attachments you get with the food processor. The blades need to be of high quality of steel blade that can chop the hardest vegetable with ease. Every jar used in food processor needs to have a good plastic body and break resistance. The jar needs to have secure locking, so any liquid of solid content doesn’t get spilled while mixing. One should also see if the company is offering a shock proof body to avoid any electrical hazard. It’s is hard to believe, but Boss food processor manufacturer has created a powerful machine that one can use for over 50 cooking functions. The device is made from the sturdy shockproof material, steel blades, and accessories that can be neatly stored in a small space. So, next time when you are planning to buy food processor online, visit Boss India for ultimate kitchen appliance shopping.